1 image. 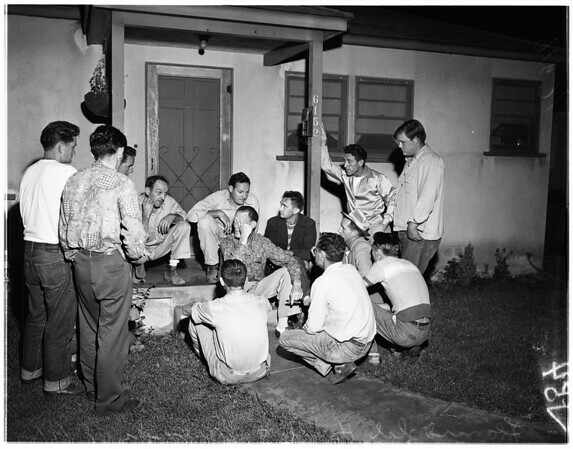 McCracken trial, Buena Park, August 2, 1951. Delegation of neighbors and Buena Park friends of Leonard Dale Hull.